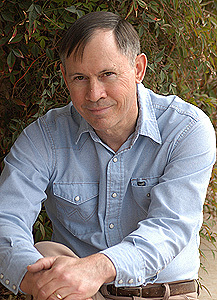 The Spur Award-winning author of twenty-three books, Patrick Dearen was born in 1951 and grew up in the small West Texas town of Sterling City. He earned a bachelor of journalism from The University of Texas at Austin in 1974 and received nine national and state awards as a reporter for two West Texas daily newspapers. An authority on the Pecos and Devils rivers of Texas, Dearen also has gained recognition for his knowledge of old-time cowboy life. In the late 1980s and early 1990s, he preserved the firsthand accounts of 76 men who cowboyed before 1932. These interviews, along with decades of archival study, have enriched Dearen’s twelve novels and led to ten nonfiction books. His new novel is Dead Man’s Boot, a story of obsession and retribution inspired by the legend of the Lost Sublett Mine of the Pecos River-Guadalupe Mountains area. His newest ebook novels are When Cowboys Die (a finalist for the Spur Award of Western Writers of America) and The Illegal Man, a modern-day western about an illegal Mexican immigrant seeking work on a West Texas ranch. His other novels include The Big Drift, winner of the 2015 Spur Award for best western traditional novel, and To Hell or the Pecos, inspired by actual nineteenth-century events on the Butterfield and Goodnight-Loving trails. For the background of another novel, Perseverance, Dearen turned to Depression-era Texas and hobo life. Dearen has also been honored by Western Fictioneers, Academy of Western Artists, San Antonio Conservation Society, Will Rogers Medallion Awards, West Texas Historical Association, and Permian Historical Society. A backpacking enthusiast and ragtime pianist, he makes his home in Midland, Texas with his wife Mary (managing editor of the Midland Reporter-Telegram) and their son Wesley.